Since the second generation was introduced back in 2017, the GMC Acadia has seemingly risen in popularity. The 2017 model was smaller than its predecessor, which defied the trend of making SUVs increasingly bigger. Sure, this impacts the amount of third-row and cargo space, but the Acadia makes up for its limited space with its refined driving performance, comfortable cabin, and easy-to-use safety and infotainment technology. Since the second generation of the Acadia is pretty new, not a lot of changes have been made for the model year. The 2019 GMC Acadia only receives minor alterations, such as the new Black Edition package for the SLT trim. This package includes a black grille, 20-inch wheels with black accents, roof rails, and several more appearance-based changes. The All Terrain model is now equipped with standard 17-inch tires, and several new body color options have been added to the list. While the base 2.5-L 4-cylinder engine that comes on the SL, SLE, and SLT-1 trims provides decent enough power (193 hp and 188 lb-ft of torque), the V6 that comes optional on the AWD-equipped SLE-1, SLE-2, and SLT-1 and standard on the SLT-2 and Denali trims is really where it is at. This engine is capable of generating 310 hp and 271 lb-ft of torque. With this much power, the V6 has no problem getting the 2019 GMC Acadia up steep hills and accelerating quickly on the highway. The fact that the V6 gets the Acadia from 0 to 60 mph in just over 6 seconds is quite remarkable. Ride quality on the GMC Acadia is about as good as it can get. There is virtually no road or wind noise that seeps into the cabin, even while driving at highway speeds. As far as the engine goes, it is barely audible. The Acadia does a good job of absorbing bumps in the road and never seems to lose control. Even the 20-inch wheels on the All Terrain provide a strong and refined ride quality over any type of road surface. While many auto manufacturers struggle to make their technology user-friendly, the 2019 GMC Acadia does not have this problem. The real bonus here is that much of this technology is standard on the Acadia. The touchscreen interface will actually bring up the features that you most frequently use so that you do not have to go searching through the menu to find them. All of the icons are big and clearly marked, and Bluetooth and smartphone app integration are easy to sync with the vehicle. The SLT-1 and SLE-2 trim levels can be equipped with the All Terrain Package, and it is one that comes highly recommended. This package includes the powerful V6 engine, hill descent control, unique treatments to the body, and a revised all-wheel drive system. The SLT-1 also gets a cargo management system with this package. If you plan on doing some light off-roading in the Acadia, this package is rather essential. Tri-zone climate control comes standard, and there is an option for dual-zone climate control as well. The dual-zone comes with extra controls for the rear, and both systems of climate control are set up with only a few easy-to-use buttons. You can opt for dual-zone ventilation and heaters on certain trim levels. All of the eight fan speeds work well at distributing appropriate amounts of air flow throughout the vehicle. The 2019 GMC Acadia has solid brakes that never seem to lose their stopping power over time. You can get as assertive as you want to with stepping your foot on the brake, but the stopping power does not feel like it drains at all. Also, the brake pedal has a moderate amount of firmness that makes modulating it feel simple and natural. As far as making a panic stop goes, the Acadia can pull this off safely. There is no doubt that the GMC Acadia is a huge SUV, but its bulk does not seem to get in the way of how it handles. While it will want to go wide in its turns, this is nothing abnormal for its class. The Acadia actually feels pretty secure while handling turns as long as you know what to expect. The amount of body roll you will feel is surprisingly little compared to other vehicles in this segment. Another package that is worth tacking on is the Technology Package. This is available on the line-topping Denali trim. Equipping this package gives you the 360-degree Surround Vision camera, which allows you to see what is going on all the way around the outside of the vehicle. The package also features the helpful combination of Forward Automatic Braking and an advanced adaptive cruise control system. Together, these two features work with the driver to follow another vehicle at a distance the driver selects. The 2019 GMC Acadia has two Driver Alert packages that you can choose from, depending on which trim you get. The Driver Alert I package is available on the SLE-2 trim level and features rear parking sensors and blind-spot monitoring with rear cross-traffic control. It comes standard on the SLT-1 trim. The Driver Alert II package is available on the SLT-2 trim and adds more features onto what you get with Driver Alert I. Driver Alert II has forward collision warning, lane departure mitigation and warning, and front parking sensors, just to name a few things. Another aspect of the Acadia's driving performance that stands out is how natural the steering feels. Although it is harder to feel the road while going through turns, the lightness of the steering makes getting up to speed on the highway and navigating difficult parking areas feel rather effortless and easy. Although this is a minor gripe, the 2019 GMC Acadia lacks small item storage space. The center console is too boxy to fit many items despite its depth, and the door bins are relatively small. The cabin just does not feel as well thought-out as it could be in terms of storing anything larger than a small cell phone. In the third row, there is barely any small storage to be found, so passengers sitting back there will have to find other ways to store their items or consider just traveling light. The cabin on the GMC Acadia has a relatively basic, straightforward approach on any trim level you select. 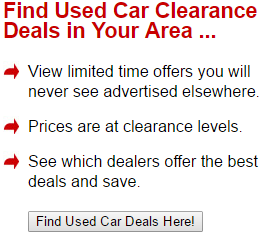 Unfortunately, this tends to cheapen the looks on the upper trim levels. A little more refinement and attention to detail could be used, especially with how the quarter panels line up and how the parking button is located in an oddly off-center position. Cargo space is limited on the 2019 GMC Acadia. With all seats left in place, you only get 12.8 cubic feet of cargo space. If you decide to leave the third-row seating up, you will have basically no room in the cargo area for anything more than a few grocery bags. Otherwise, you can expand the cargo space to 79 cubic feet of cargo space, which is typically sufficient. Speaking of those pesky third row seats, they are quite cramped in the GMC Acadia. Adults of almost any size will have trouble fitting back there, so it is a spot best left for seating children. Otherwise, knees will be crammed up against the backs of the second-row seats. The 2019 Ford Explorer is typically a strong competitor for the Acadia. While the Explorer does not offer certain safety features like automatic emergency braking, it has plenty of standard easy-to-use infotainment features as well as a good number of optional ones. There is a turbocharged V6 that you can opt for, and it offers up a powerful performance that rivals what you get on the 2019 GMC Acadia. The Explorer also delivers a quiet, well-mannered ride quality. Unfortunately, like the Acadia, the Explorer also suffers from a serious lack of leg room in its third row of seating. Another top contender against the 2019 GMC Acadia is the 2019 Chevrolet Traverse. The Chevy Traverse also struggles with some interior quality and appearance issues, and the standard availability of some sought-after safety features is limited, only to be found on higher trim levels. However, the Traverse offers much more leg room throughout the cabin, clearly outdoing the Acadia's third row. Cargo space is also quite abundant. Overall, the 2019 GMC Acadia shines the most in terms of ride quality and driving performance. Its brakes are outstanding, and the optional V6 engine puts in quite a powerful performance that many drivers will enjoy. If you can endure the limited rear seat space and lack of small item storage, the Acadia has a lot to offer. 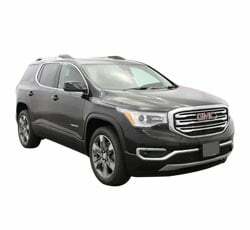 • Why Buy a 2019 GMC Acadia? • Why Buy a 2019 GMC Canyon? • Why Buy a 2019 GMC Sierra 1500 2WD? • Why Buy a 2019 GMC Sierra 1500 4WD? • Why Buy a 2019 GMC Sierra 2500HD? • Why Buy a 2019 GMC Sierra 3500? 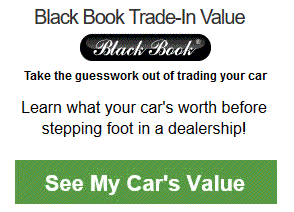 • Why Buy a 2019 GMC Terrain? • Why Buy a 2019 GMC Yukon?